I'm sure he meant the whole game. Ok I misspoke.They featured 9 players in a game. Unprecedented in Europe going back to the 52 years or from 1996 as per Zee fuzzy math. Lies as usual.....remember when Ohsee exposed another 'misspoke' you posted. Up zee! Chai! 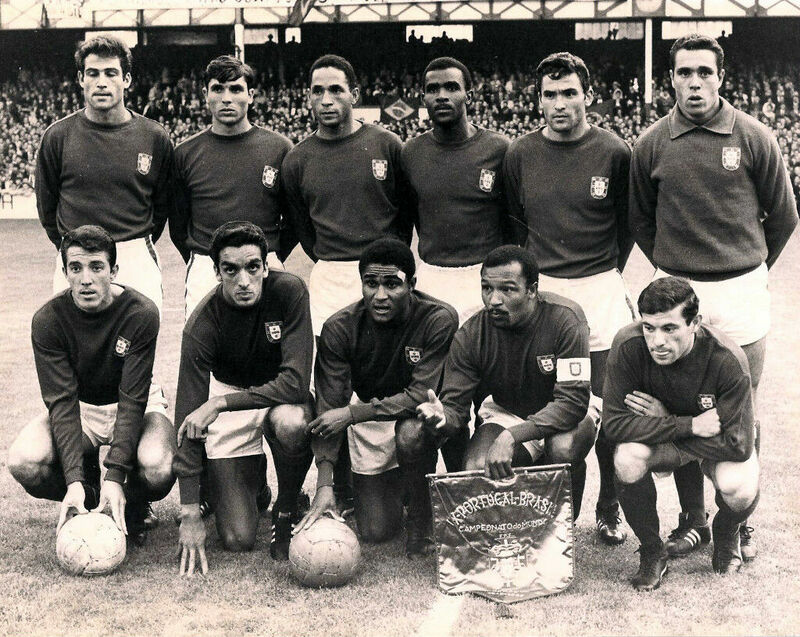 The great Eusebio, and the great Mario Coluna, captain of Portugal. Africans full ground for that team o! Coluna went back to Mozambikwa to become minister of sports. The above link showed 7 black players out of 22 so the statement by Zee that black DOMINATED the Dutch team was a blatant lie. And it was Zee that mentioned Rikkard as part of Dutch so called " all blacks team "
Well my arguement was simply the Dutch team did not copy anybody. If you counted 7 black players way back 22 years ago,how can.anyone standby and.let the arguement that Holland is copying France stand? You accused me.of being economical with the truth, when.indeed all the players i.mentioned all.made the dutch team in the same era....how was i being economical with the truth. When.you junmped in to accuse me , did you bother to know why i.listed those particular names? Of the 7 players, i believe 6 of them were in the first team, 6 out of 11, is that not dominance? So someone watched France in 2018 and arrives at the conclusion that a team that was playing 6 black players 22 years ago is infringing on the French copyright ...that must be a shallow display of football knowledge or simply intellectual laziness dont you think? Again Oloye, what part of "MORE" don't you understand ? a greater or additional amount or degree. Ohsee, they are the team i will watch next euro...I think n know they will go deep..Probably win their 2nd..Its long overdue..The dutch r like this..Good one time down another..Since they were down, its now time 2 rise..Go Oranj!!!!!!!!!!!!! I love when people shift goalposts to make silly points. The Dutch team that beat Germany had NINE blacks in their starting ELEVEN. How many blacks were in each of the Nigeria teams that have lost 5 times to Argentina at the WC?